With the addition of the Bertini Graceland Toddler Guard Rail you can easily transform your Graceland 4-in-1 Convertible Crib into a toddler bed where your child will love to listen to you sing. 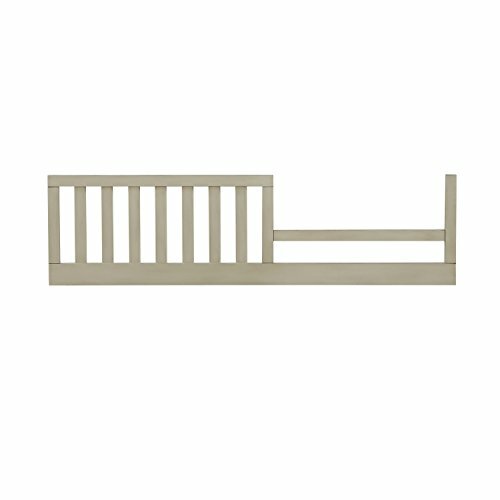 Sophistically designed with a sturdy wood construction in a gray satin finish, this toddler guard rail's classic architectural aesthetics allows it to fit in perfectly with the crib. With your child's safety in mind, this guard rail features vertical slats with a side opening. Combine the Graceland Toddler Guard Rail with other pieces from the Bertini Graceland collection to design the perfect stage where you and your child can belt out your favorite tunes! If you have any questions about this product by Dorel Living, contact us by completing and submitting the form below. If you are looking for a specif part number, please include it with your message.